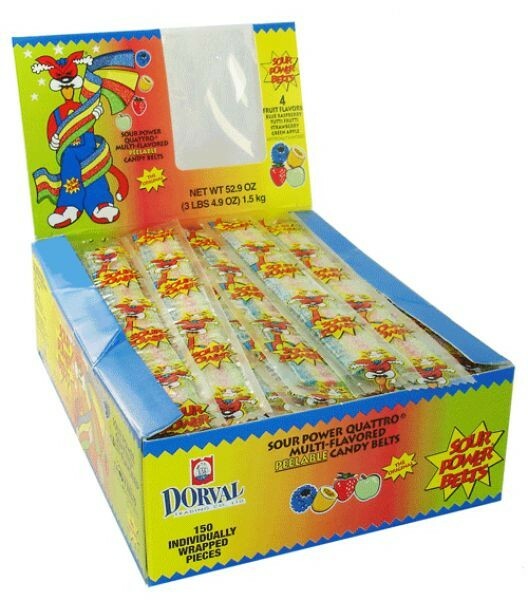 Sour Power Belts Quattro from Dorval, peelable, multi-flavored candy strips that pack a real sour wallop! For added delight, these colorful strips can be peeled apart into individual flavors. Four flavors per belt: blue raspberry, tutti fruiti, strawberry, green apple. 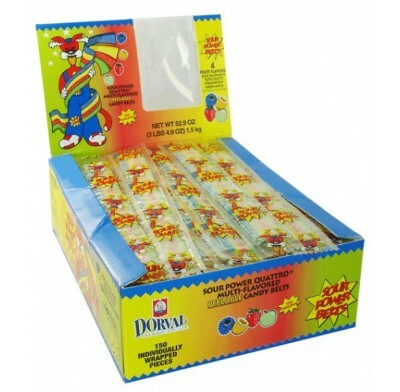 150 individually wrapped candy belts in each display box.